All fees in Japanese yen. Please use a currency converter such as XE Currency Converter (http://www.xe.com/currencyconverter/) to check the fee in you local currency. Power MEMS 2017 requires that at least one author from each paper is to attend the meeting in Kanazawa to present the paper. Power MEMS School Fee covers two-day program on November 13 and 14. Please check the Power MEMS School page for more information. November is the high season for tourists in Kanazawa. We have been told the hotel rooms could become scarce during our conference. We advise your to book your hotel early. Located in the central part of the mainland of Japan, Kanazawa is the prefectural capital of Ishikawa Prefecture. The southeast area of the city faces the mountains and the northwest area faces the Sea of Japan. The main city area is located between the Saigawa River and the Asanogawa River. Kanazawa Castle Park and Kenrokuen Garden (one of the three greatest gardens in Japan) are located in the center of the city, and they are surrounded by several shopping districts (Korinbo, Kata-machi, Musashi, and Kanazawa Station). 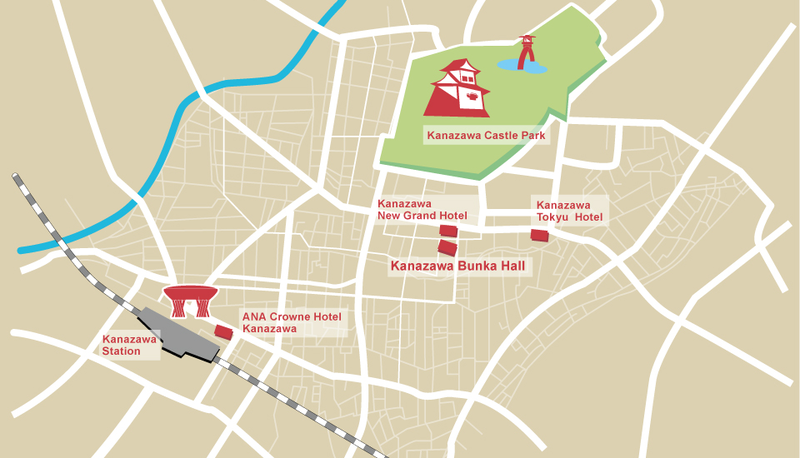 Moreover, Kanazawa is a leading tourist city where 8 million tourists visit every year. It was a great castle town ruled by an influential leader from the 17th century to the second half of the 19th century. Kanazawa has not suffered from any war devastation or big natural disasters. Thus, Kanazawa has maintained rows of historical houses and various traditional handicrafts and traditional performing arts. The Hokuriku Shinkansen (a high-speed railway line) that started operation on March 14, 2015 connects Tokyo and Kanazawa in 2.5-3 hours, operating 24 services daily. The nearest international airport for Kanazawa is Komatsu (KMQ). Komatsu is connected to Tokyo Haneda Airport by 12 flights daily. And there are direct flights from Shanghai, Seoul and Taipei. Option 1: Take a flight to Tokyo Haneda Airport and transfer to domestic flight for Kanazawa Komatsu airport(KMQ). Option 3: Take a flight to Haneda or Narita Airport, then travel to Tokyo Station for Hokuriku Shinkansen. COPYRIGHT © Power MEMS 2017. 2017 All Right Reserved.